The Mojave Desert Heritage and Cultural Association (MDHCA) is releasing the fourth edition of the Mojave Road Guide on April 17, 2010. This significantly revised, expanded edition includes new maps and GPS coordinates. The road log has been updated to reflect changes that have occurred in the decade since the last edition. You can purchase a copy of the new Guide directly from the Mojave Desert Heritage and Cultural Association by mail order. Click here, select the book, print the order form, and mail it with your check. Proceeds support the ongoing nonprofit activities of the MDHCA, including publication of this Guide. If you prefer to purchase it online, the Web site DesertUSA also has copies available in their bookstore. April annually produces the widest variety of wildflowers in the Mojave National Preserve. 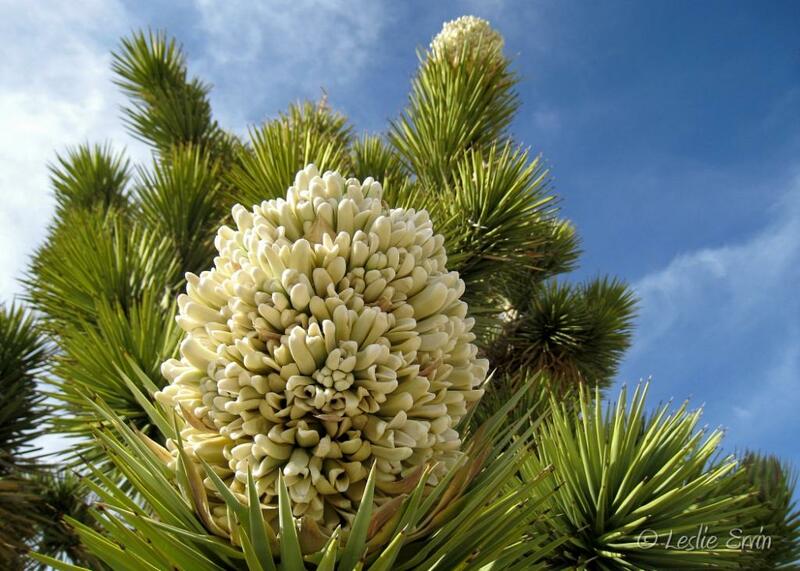 In a good year of plentiful rainfall, most of the 250 flowering plants of the region produce blossoms in profusion to the delight of visitors to the vast preserve located south of the Nevada-California border. Even in years of scant rainfall, a few dependable varieties still show up. 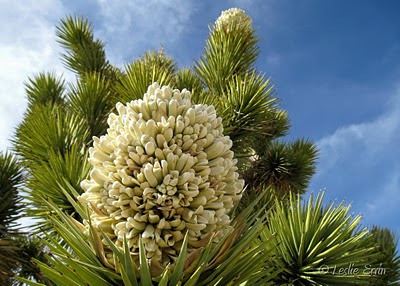 Head for the Mojave National Preserve soon to enjoy the best of whatever show nature provides. To reach the preserve, head south from Las Vegas on Interstate 15. Drive through Primm and over the state line to the Nipton-Searchlight Cutoff, Highway 164. Watch for the Ivanpah Road exit and turn there. Go a short distance to the Morningstar Mine Road, which leads to a crossroads at Cima. Follow the signs south to Kelso, once a major watering stop on the railroad. Visitors from Southern Nevada can also reach the preserve from I-15 by taking Cima Road or Kelbaker Road, which cover different parts of the preserve. Cedar Canyon Road between Cima and Kelso connects with other major routes through the interior of the preserve. The handsome Mission-style Kelso Depot built in 1924 served railroad travelers and employees for decades before falling into disrepair. An ambitious restoration gave the depot new purpose. It serves now as the main visitor center for the Mojave National Preserve and headquarters for National Park Service personnel. Open daily except Christmas Day, the building houses informational exhibits and displays, a bookstore and a basement art gallery. On the main floor, a cafe called The Beanery serves meals Fridays through Tuesdays from 9 a.m. to 5 p.m. Inquire at the depot about where to look for current wildflower displays. Predicting a sensational wildflower season would challenge a Vegas odds-maker. The goal of the players is to produce plenty of flowers and seeds for future seasons. Many variables change the game. A perfect season begins with an inch of rain in late autumn, followed by scattered rains and no desiccating winds in winter and early spring. This year, the rains came late, promising greenery, but delaying the flowers. Occasional heavy winds did not help. Late bloomers risk all against the oncoming summer heat. If summer comes early, they lose. If it holds off even a few days, they could play a winning game. In the Mojave National Preserve, flowers show up first in the lowest elevations along roadsides and on south-facing slopes. Varieties change with the terrain. For instance, look for the showy pale blossoms of dune primrose only around sand as at Kelso Dunes or in sandy spots along roadsides. Often you'll find a sand-loving pink verbena in the same area. Join a ranger for a walk among the dunes any Saturday at 11 a.m. The dunes lie seven miles south of the depot, then three miles west on a graded road. Soon after the earliest blossoms fade, different flowers take over and the show sweeps into higher elevations. By May, many early annuals are done, but several kinds of cactuses are then at their showiest. Nearly everything takes a summer hiatus, but a few kinds of flowers put on a nice autumn show if the monsoon rains deliver late summer moisture. Springtime in the Mojave National Preserve invites visitors to explore this largely undiscovered recreational treasure. In addition to paved routes, the preserve contains about 1,000 miles of primitive roads ideal for four-wheeling or horseback exploration. For a small overnight fee, campers use two nice campgrounds at different elevations along Cedar Canyon Road and Black Canyon Road. Self-contained RV users or primitive campers may also camp where others have traditionally done so, free of charge. Several trails and hiking routes probe interesting canyons, historical routes and geological points of interest. Visitors do well to remember that springtime draws reptilian residents out of winter dens. The Mojave is home to several species of rattlesnakes, the most dangerous being the Mojave green, whose strong toxin attacks the respiratory system. Watch where you step or put your hands and listen for that warning buzz.